I can identify the visual representation of six treble clef note names (E4, F4, A4, C5, E5, F5) via story. I can identify the visual representation of six treble clef note names by story character/location (E4, F4, A4, C5, E5, F5) on staff notation. I can keep the beat with body movement while listening and singing. If this is the first time your kindergarten students have listened to the story, introduce it the same way it was introduced in the kindergarten video clip. If your kindergarten students are familiar with the story from preschool, then introduce it similar to the first grade video clip. Step 1. Students enter and go to their assigned seat. Step 2. Sing Freddie the Frog’s “Hello, Song”. Freddie wants to tell them a story. Step 4. Sing and beat movement to “Eli’s Hokey Pokey” recording. Ask students to stand and move to their own circle (reference to their “Top” circle from previous lesson). Ask students to move to their assigned seats. If time allows, add classroom instruments. Demonstrate how to play each instrument before handing it to a student. (There is a section on establishing classroom instrument rotation and structure for success with students in Beyond the Books teacher’s guide. Distribute a different classroom instrument to every third student. Play the beat for eight counts then pass to the student on the left. Continue. Informal assessment of understanding/playing the beat. Informal assessment of identifying location on the staff of six note names. 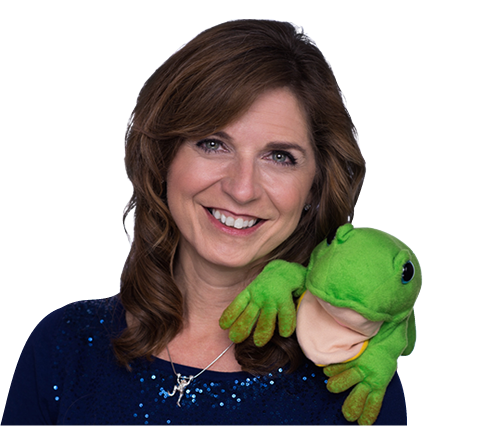 Next music class, share Freddie the Frog and the Mysterious Wahooooo book/CD, note name review, and follow up singing and movement. If this is the first time your first grade students have listened to the story, introduce it the same way it was introduced in the kindergarten video clip. If your first grade students are familiar with the story from first grade, then introduce it similar to the first grade video clip. Step 1. Students enter and go to their assigned circle. The first circle that is standing quietly with their arms at their sides, gets to be part 1 of the 2-part round. Step 2. Sing Freddie the Frog’s “Hello, Song” in a 2-part round. If this is the first time your second grade students have listened to the story, introduce it the same way it was introduced in the kindergarten video clip. If your second grade students are familiar with the story from first grade, then introduce it similar to the second grade video clip. Step 1. Students enter and go to their assigned circle. The first circle that is standing quietly with their arms at their sides, gets to be part 1 of the 3-part round. Step 2. Sing Freddie the Frog’s “Hello, Song” in a 3-part round. I can understand and memorize the visual representation of the treble clef note names by letter name via staff notation. I can identify and understand three ways to remember treble clef note names: story, “Freddie’s Alphabet” (music alphabet), and line/space sentences. If your third grade students are familiar with the story from second grade, then introduce and teach the new method similar to the third grade video clip. Proceed with this lesson. Step 1. Students enter and go to their assigned seat. (Freddie is located in the front of the room within sight of students.) with their arms at their sides, gets to be part 1 of the 3-part round. Step 2. Freddie wants to tell them a story. Step 6. Ask students to identify space or line notes using flashcards or other visual. When students are secure in identifying line or space notes, and then count the lines on the staff (5). Point out that we can “cheat” by pretending the five fingers on our hand represents the lines of the staff. Quiz students using your hand.